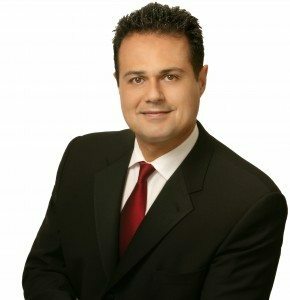 Since 1988, KAMRAN has successfully represented the interests of thousands of satisfied buyers and sellers of homes in the South Orange County area as a true area specialist. He prides himself in the ability to match buyers with a properties that fit their dreams and lifestyles. His understanding of South Orange County buyers allow him to tailor his marketing programs specifically to attract and target those buyers. In-depth knowledge of neighborhood property values based on a number of different aspects such as previous patterns/current trends and knowledge that can only be gained by experience (27 years as a Top Producing Agent in South Orange County). Up-to-the-minute information on available properties, sales and their features. Fully qualified and experienced staff who work as a team with each team member providing unsurpassed qualifications and customer service; full time and fully dedicated Transaction Coordinator, Webmaster / Graphic Designer, Marketing Coordinator and Listing Coordinator. State of the art communication systems. Client education every step of the way. Remember… you need facts & reliable information to make good decisions! Guidance on preparing a property for sale to assure the best results. This includes how to best stage your home to add attractiveness to potential buyers and how to set the right price (not high, not low, but “accurate). Extensive marketing, computer and graphic design skills to create the most innovative and effective marketing programs. Professional contract negotiation from a position of experience, knowledge and ability. Personal attention to all of the details of the home buying/selling process, as well as all aspects of marketing a home throughout the escrow process. Being a father of four as well as a devoted husband KAMRAN understands the meaning of family values and incorporates this into his way of doing business. Buying or selling a house many times involves the whole family and this is something KAMRAN seeks to value when assisting his clients’ real estate needs.